The KY-012 Active Buzzer Module. 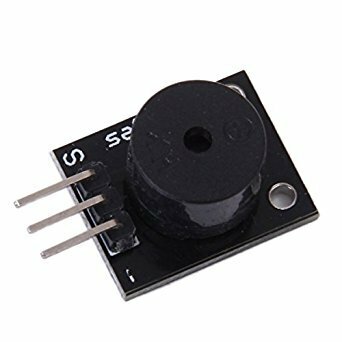 The module consists of an active piezoelectric buzzer, it generates a sound of aproximately 2.5kHz when signal is high. Connect signal (S) to pin 8 on the Arduino and Ground (-) to GND.